What is Bluetooth Low Energy (BLE) ? BLE technology is powerful and application-friendly version of Bluetooth that was developed for Internet of Things. Bluetooth Low Energy apps transmit low energy signals with Bluetooth 4.0 protocol. Proximity based solution using BLE device enables the business to fetch precise data, delivering jaw-breaking customer experiences, generating more ROI. With the reliable team of BLE developers, BLE Mobile Apps is keen to deliver solutions for BLE iOS Apps and BLE Android Apps that meet the client’s requirements and improve business performance. BLE technology is highly cost- effective and offers affordable marketing solution. Low-cost and low-energy beacon devices that the technology relies on, offers convenience for large deployments. Being pocket-friendly, it helps to implement Bluetooth Low Energy apps in a scalable and flexible way. BLE requires less power to broadcast and receive data. It runs on a single coin battery for years and can be extended even further by applying some settings. Transmitting signals will also have less influence on smart-phone’s battery. BLE leverages location to provide shoppers’ preferences, demographics, providing personalized shopping experience. It delivers valuable content to shoppers’ smart-phones at the right time and the right place within right context. BLE technology increases sales by redefining shopping experience and assisting shoppers in reaching educated point-of-sale decisions. Customers who obtain timely access to information generally move towards the purchase faster. IoT has transformed the world by connecting, communicating, controlling and managing your scattered device centrally. To improve operational efficiency, user experiences, connecting people & process, you can rely on TOPS, to capitalize your IoT services through BLE Android apps and BLE iOS apps. Our professional team can use latest trends to identifying key growth areas that helps you to move forward with new world of IoT technology. Ageing population and modern life style challenges are placing record levels of stress on healthcare providers all over globe. BLE-enabled technologies are efficient enough to create the smoother workflow for patient care. BLE Mobile Apps development team, strive to develop the health care applications that reduces manual errors, increases personalized attention in real-time, transform the way doctors, patient and vendor communicate and collaborate on treatment discussions. In this Hi-Tech era, building smart-home has become the mainstream to improve lives in matter of minutes. With our advanced home automation solution, we tend to create the smart home that is economically viable whether it is setting the thermostat at the optimum level or managing lighting without human presence in room. We will create instant operations using BLE mobile apps to convert your ideas into reality. Although retailers try hard to sell quality goods at competitive rates but still customer retention has been the biggest challenge for them. iBeacon has been pulling customers towards the store by analyzing the customer moment inside out. With our smart retailer application, you can have faster, enhanced and cost-effective business operations by attracting your target customers. Hire Expert Developers to have the most robust BLE development services for iOS & Android Platforms as well as various devices and networks. We provide a range of Bluetooth Smart Solutions like Touch Sensing, Alert Notifications,etc. Let us know your desired solution and we'll deliver. Get expert consultation on connecting BLE technology to your smartphones, devices or Applications. We provide the end-to-end solution. Team of 50+ mobile app developers & 10+ QAs ensure flawless development. 24/7 support is provided by our business development managers. We have served clients based in more than 35 countries. Want to just kick-start your BLE mobile application? Just get in touch with us and let us know about your innovative idea. It would be our pleasure to work with you and convert your idea to a flawless and perfect BLE powered mobile app helping you to achieve success in your endeavors. 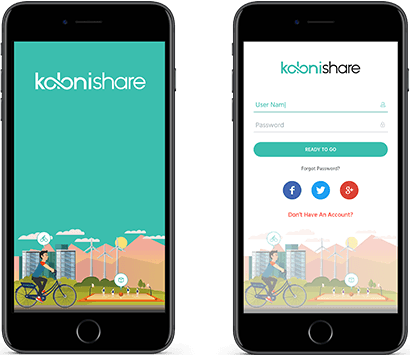 Koloni share is a smart bike and Kube (kit of basketball, soccer ball, tennis rackets/balls, volleyball, ice-skates) sharing system equipped with BLE powered locks. It is integrated with ‘Linka locks’ which is operated from mobile app that provides exceptional security and great user experience. No more worries to find the location of bike and kube share as the system automatically detects and displays the bikes and kubes in the nearest available location. Additionally, Koloni Share holds “Pay as you go” facility which means pay only for the number of kms you drive. Lost your precious items like keys, wallet, phone or anything useful which can disturb your routine? We have a solution. 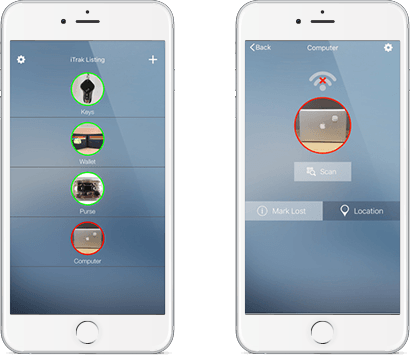 Attach, hook or clip your valuable items with a tile shaped Bluetooth tracking device easily available in the market and just with the simple touch on your smartphone, you can find your missing items easily. 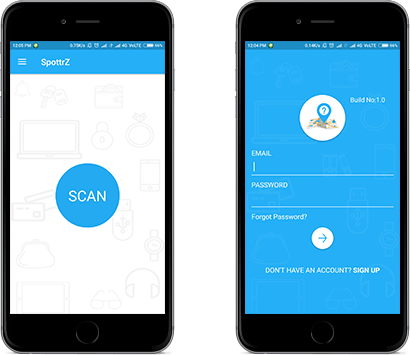 Bikelok is an Android / iOS application which can lock or unlock Bluetooth bike lock device located within a specified range of 12 meters. No more worrying about losing keys or searching them in your pocket or purse. Just walk up to your bike to unlock the bike lock and walk away from the bike to get it locked again. 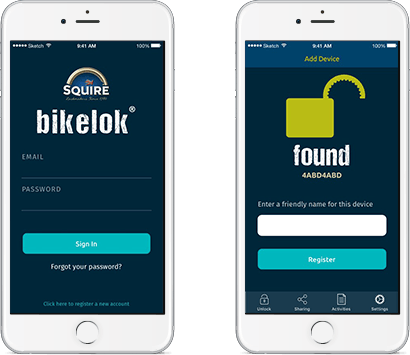 You can also lock or unlock your bike with a simple press of a button using Bikelok application on your smart phone.